My Hotgossip column is revamped! 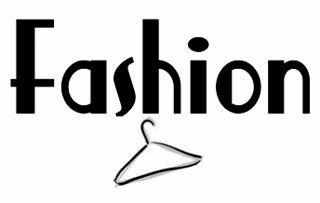 I am now featuring four sections: Fashion includes fashion events, new trends, bargains and giveaways. 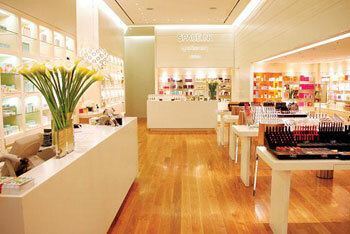 Spas features unique treatments (and ingredients), products, tips and recommendations re world class spas. Royals of the World reports on the goings and comings of members of royal families around the globe, perspectives on royalty from readers who live in countries without royal families, and much more. Inspiration is taken from a wide variety of topics I work with both on radio and with my clients, meant to uplift the reader; information includes seasonal tips, how to create more happiness or peace of mind, prosperity and relationship-improving tips. Royalty has had to adapt just like everyone else to the changing times; recent political upheavals in the Middle East and North Africa and the economic situation of the past few years are two obvious examples. Modernization has been essential in great part due to the internet and explosion of smart phones with their immediate access to masses of people across the globe. Royal families throughout the world have had to streamline their images – some from personal need while others wanting to protect themselves from being seen as part of the old, from also being toppled. It has been no secret that Charles has wanted to modernize and slim down the monarchy for a long time. Fairly recently the Queen has been giving Charles some rein to do so. Over much of this past year he has basically cut out many members of the family who are not directly in line for the throne. 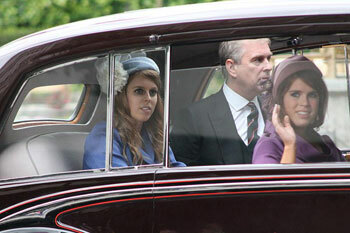 Andrew, Beatrice, and Eugenie are prime examples. It is less of a power struggle and more of a coup worthy of Game of Thrones. The Yorks have become effectively less important members of the Royal Family: Andrew represented the Queen in India for her Jubilee Tour but only had one local photographer accompany him. Beatrice and Eugenie no longer have Royal bodyguards and instead of stipends they were advised to go out into the business world and seek employment. Charles has been forward thinking throughout his adult life even if people ridiculed his notions. He began developing organic farming back when no one was interested in the concept nor wanted it. 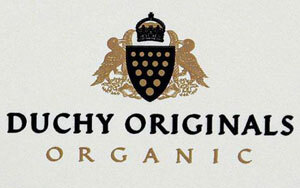 In the case of trimming down royalty his decisions are based on his belief that the British public will not continue to tolerate numerous numbers of the extended Royal Family receiving favors and large allowances, such as the Duke of Gloucester. The Queen's cousin is known for doing good work – but also lives at Kensington Palace at the taxpayer's expense. 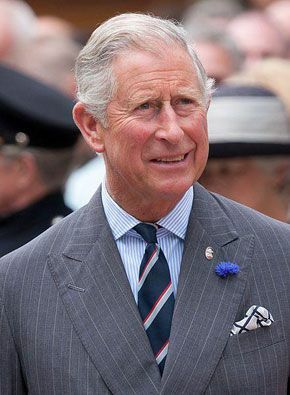 Charles' plans include Harry and William having ever more visible roles in public. One of the ways in which Charles' new strategy is apparent relates to who will now be appearing on the balcony at Buckingham Palace. For example Andrew was recently excluded from a balcony appearance; according to The Mail's Richard Kay, "It was like 'a dagger to his heart' and he hasn't gotten over it." The Daily Beast (www.thedailybeast.com) alludes to the cuts that have been made as "Charles' liposuction." When I had my phone interview with Nicky I discovered so many aspects about her that I wasn't aware of that I decided for the first time ever to divide the interview between two columns (if you would like to go to Part 1 of this two part spa feature please go to the following link and scroll down to the Spa section: hotgossip.co.uk/Summer_2012/751.cntns ). Part 2 relates to Nicky's amazingly positive philosophy about life. 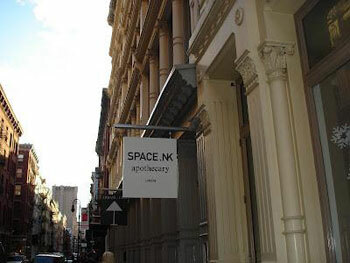 I had a basic idea about Nicky herself, the history of Space NK and her ethos – but until I met her I did not realize how truly unique she is. Nicky is both a no-nonsense business mogul as well as is extremely creative, compassionate, intuitive and full of humour. I was surprised to learn how many accolades she has acquired over the past decade. She is a Member of the Order of the British Empire; has an Honorary Doctorate in Economics from Queens University Belfast; won The Save the Children Woman of Achievement Award and The Cosmetic Executive Women (USA) Achievers Award amongst many others. In addition she sits on the Board of Northern Bank. 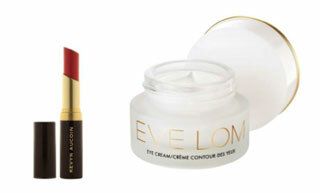 One of the passions that drives her is scouring the world for the latest and greatest products. Nicky loves working with innovators and creators in their respective fields. Related to this, she has a huge team of buyers searching the world to be on top of the latest trends, topics and ingredients for her customers. Here is how her desire for great products and her business sense show up: "The customer really wants to make her hard earned cash work to the best of her advantage. It's not just about making someone look great in the shop but it's about making sure she knows how to replicate that in the comfort of her own home and that's why all our staff are constantly trained so they can offer the best advice." This is one of the countless ways she balances beauty with affordability. Nicky is refreshingly not committed to any particular line: I have never encountered anyone besides myself to select whatever products I like from many lines and not be wedded to a whole line. This actually surprised me about Nicky! She herself uses different products from various lines for her skin and recommends that anyone coming in to Space NK do the same. 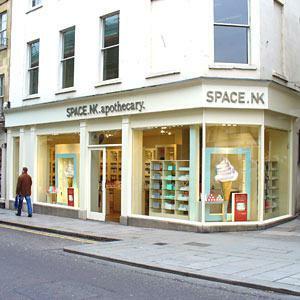 The employees at Space NK support customers doing this and will give samples from a plethora of lines depending on the area of the face or body and on what the client likes. I loved the response she gave when asked what she means by beauty. She responded that character is how you feel inside about yourself and beauty comes from that. She also stated that "Beauty should not be separate from fashion." I love this! Some of the things I learned from Nicky about her good sense of humor and philosophy have to do with her upbringing. She grew up in a family in which both friendly competition and sporting events were prevalent thus she was instilled with both at a young age and works with these concepts today. To her, an obstacle is merely something to work around and overcome; "Failure is not an option." So much of Nicky's success depends on her belief in fitness and her intake of high quality foods. She loves tennis, Pilates and yoga. She drinks David Kirsch Calming Bubbles to keep the stress hormone Cortisol stable. Because of her excessive travel schedule, she uses this as a staple for staying balanced in airports and on planes. When asked if there was one lesson she could pass on, she said, "If you see an opportunity to do something better than it is currently being done, then go for it. Aim to be the best you possibly can, remove your blinkers and be your own harshest critic. Life is what you make of it." I was invited to cover an elegant event at the Robbins Brothers Glendale Store at 300 West Colorado Street. The store's Simon G line hosted 'Blingin' Try-On Party' for bloggers, journalists, and social networkers to benefit the local West Hollywood chapter of Dress For Success. Simon G is now 31 years old, still operating the family run business. Coming to LA from Lebanon as a young man; Simon descends from a long line of jewelers in his native country. He is CEO and head designer; he stresses versatile designs; all are 18 karat gold. 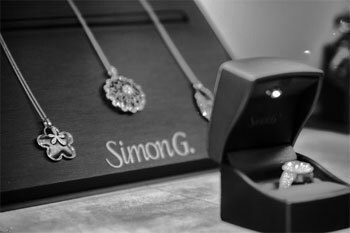 One of the reasons I like his jewelry so much is that Simon made popular the renewal of rose gold and pink diamonds during the past several years. I spoke at length with Sairy Stepanian, Director of Social Media, who revealed that they have around 160,00 fans on social media sites. Their target market is clients 24 to 54 years of age with approximately 65% bridal-related, leaving 35% centered on fashion. Robbins Brothers has been known for decades by the depth of its quality, styles, sophistication, and variation of carried lines. Staff is extensively knowledgeable regarding various stones' cuts, styles, and designers in addition to which styles different clients are naturally drawn towards. 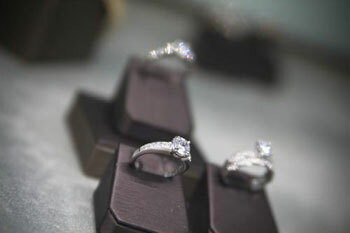 Genuinely caring about clients as well as attendees to 'Blingin' Try-On Party' led me to personally contact a newly engaged radio host in a top ten market, suggesting she and her fiancé' visit a Robbins Brothers' store in their area before making their final ring selection. I was impressed with was what the jewelry chain is doing to support Dress For Success. Everyone attending on Thursday evening received a $25 donation made to the organization in the blogger/journalist's name. Customers and attendees can also drop off neatly worn suits and handbags at the Robbin Brothers Glendale location during business hours. Robbins Brothers is very active with Dress For Success; partnering with Goodwill Stores, to help abused and other disadvantaged women prepare themselves for job interviews and much more; volunteer stylists work with women from all over the country to assist them in looking their best through clothing donations made to Goodwill Stores. Volunteers also help them learn how to successfully interview, developing skills that allow women to newly integrate into society. 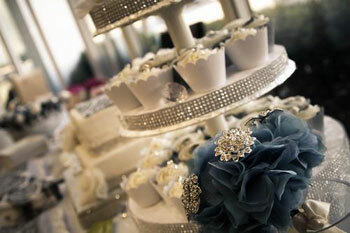 Photography Provided By dOMAIN Los Angeles. For more than sixteen years I have been writing tips and information received in meditation on what we are meant to know and do in our lives at that time. Firstly, I wrote for magazines and newspapers, then also on my website, and in recent years in blogs. I have always loved anything inspirational. That is why I have it as a section in this column! This issue's inspirational topic is about Autumn. During Autumn with shorter days and colder weather we tend to contract. From an almost primordial standpoint we tend to be drawn to hibernating in some form around the time Autumn begins. However full-spectrum light bulbs are easily available and fairly inexpensive; these help us to recreate the sense of having a full day's sunlight and warmth in our home. Virtually anything can be approached from a yin/yang standpoint; in other words from opposing perspectives. In Autumn it is both good to know that we are meant to be more inward and homebound and yet the need to hibernate is so strong that we need to counteract some of it. Make changes around the home that make it more comfortable to follow the innate urge to spend more time at home however temper it with products and activities that relate to modern day living. As far as food is concerned this is no longer the time for cold drinks; it is too hard on the lungs when the weather is colder. Only warm or room temperature fluids should be consumed. Avoid salads and other light foods such as you would have during the summer. Hearty foods are what the body needs now. Begin to incorporate more soups, stews and roasts in your diet: your body needs this kind of fuel for shorter, colder days. Wear warm colors such as rusts, golds, browns and the warmer shades of purple (aubergine). Light colors will make the body feel colder. Nutrients and vitamins need to be adapted. Add more Vitamin C and other immune system building products. I like the vitamin departments of Whole Foods and John Bell and Croyden for their ranges of brands and nutrient types. As mentioned each season has a theme to it; Autumn is about reflection and taking care of yourself. Mercury Retrograde is also about reflection and making changes to improve your life. It so happens that Mercury Retrograde is occurring right in the middle of Autumn this year: 6 November until 26 November. If you are not familiar with the concept I suggest that you read about the importance of it (see two links below which provide information). Mercury Retrograde in general is associated with cleaning out closets -- literally and figuratively. It includes cleaning and weeding out patterns and traditions and even people who drag you down. This particular Mercury Retrograde phase occurs just before the Holidays – with all that that implies: being around the same people, traditions and shopping for gifts similar to those from other years. In other words rethink everything you do the holidays and how you spend them. • Sign legal documents, close big deals, begin new projects (especially important ones). • Purchase any new telephones, computer, software or vehicle. Travel. If you must allow extra time and take hand carry. • Research any new project or purchases you would like to begin or make. • Catch up on paperwork. • Organize closets, garages, office space, etc. • Volunteer and do charity work for others. • And - wait until it is over! !